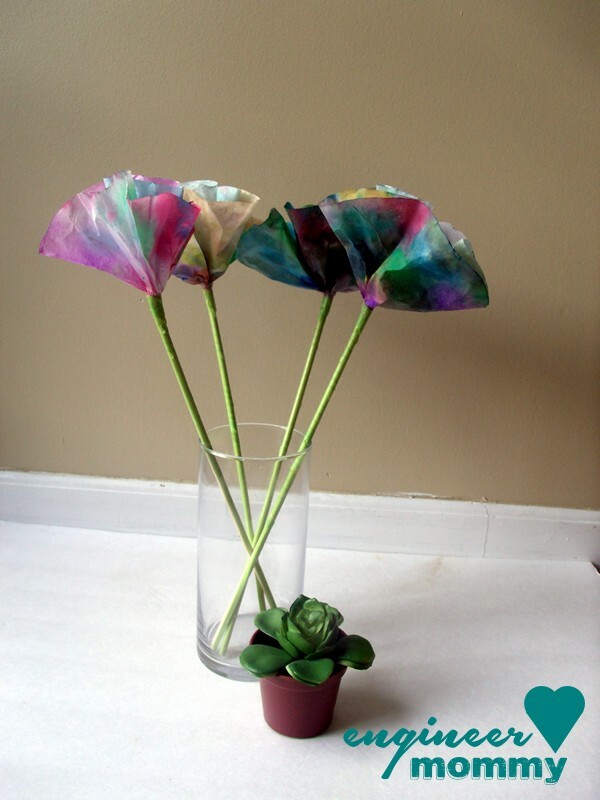 These colorful little flowers are made from coffee filters! 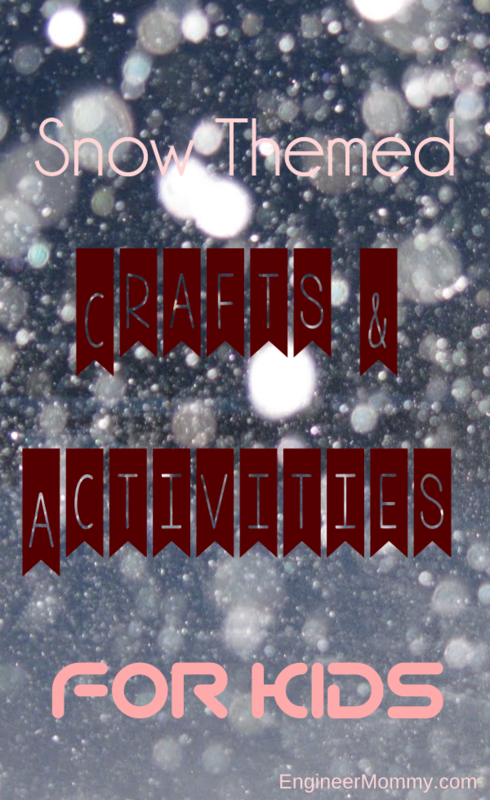 It’s a fabulous little craft that my daughters had a blast helping me with. 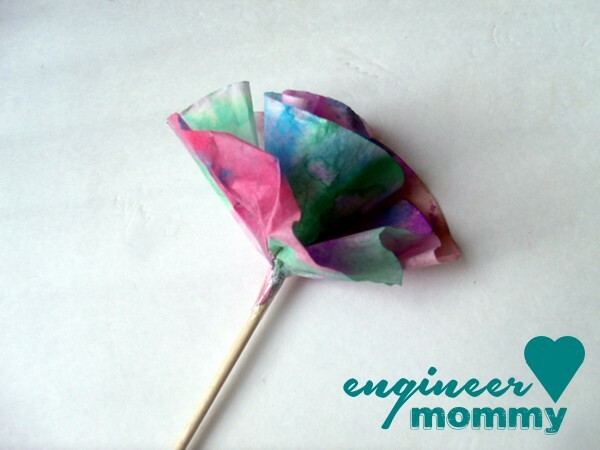 This is a quintessential kids’ craft, since children can do this project from beginning to end all by themselves (depending on their ages, of course!) However, the final product does not look like a kid made it… in fact, I think it’s an adorable and playful addition to a home office desk! 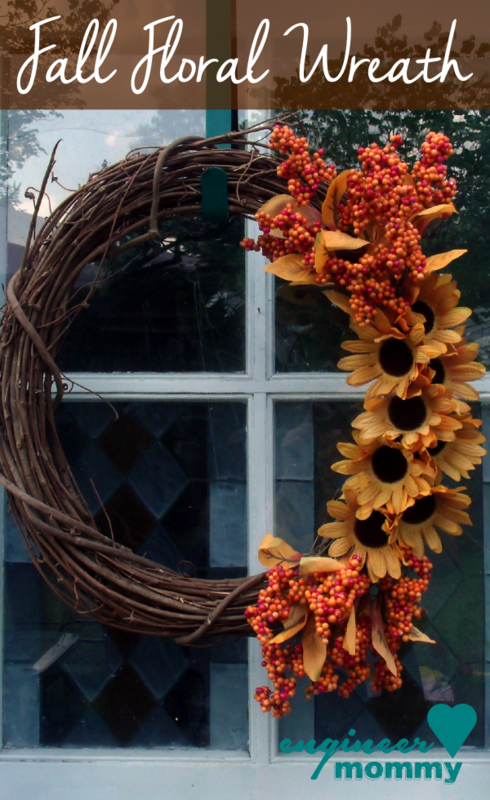 Or it can be a bright, cheery way to spruce up a kitchen counter! 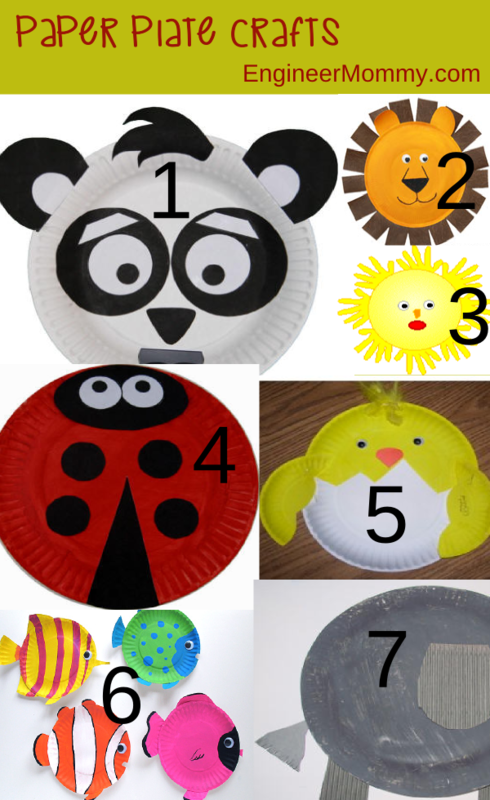 Or a fun decoration for a playroom shelf! Here, take a look! Doesn’t it look rather chic? 1. 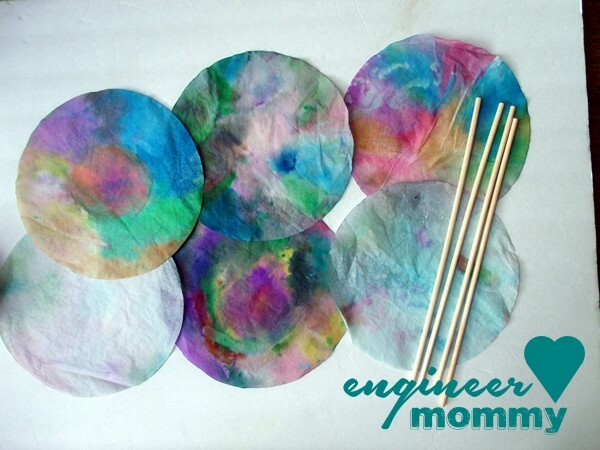 Paint with watercolors on the coffee filters. 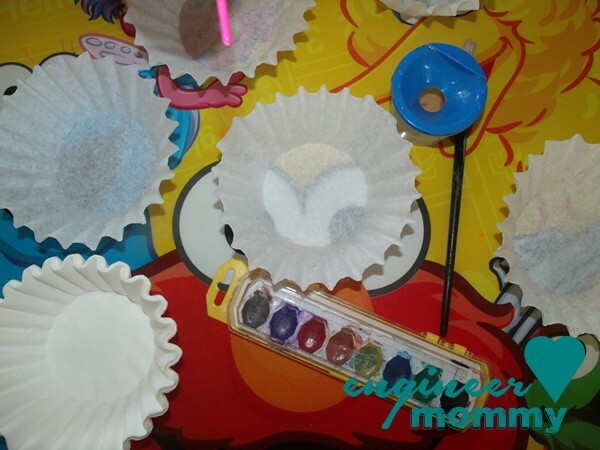 Try to use a decent amount of paint and add enough water so that the colors blend. That’s what will give the final product a gorgeous, blended look! 2. Let them dry fully. Admire the gorgeous colors! 3. 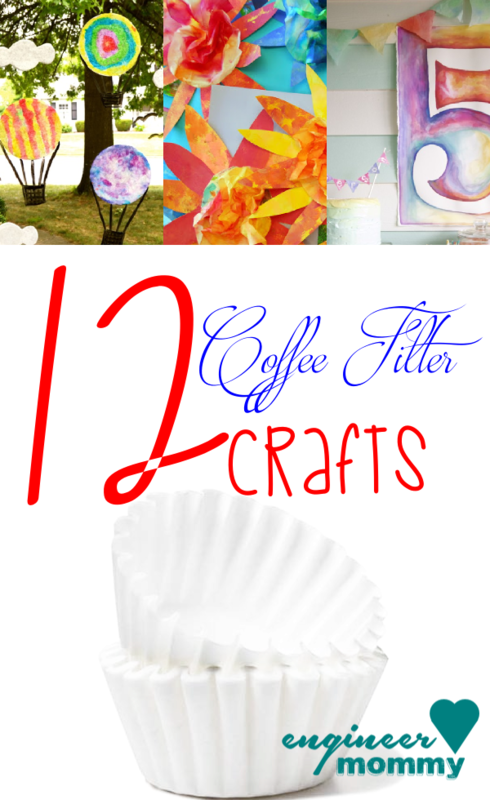 Roll two coffee filters into a flower shape. Using tape, attach to one end of a dowel rod. 4. Roll the green washi tape around the dowel rods to cover the exposed wood. The green tape makes the rod look just like a stem! 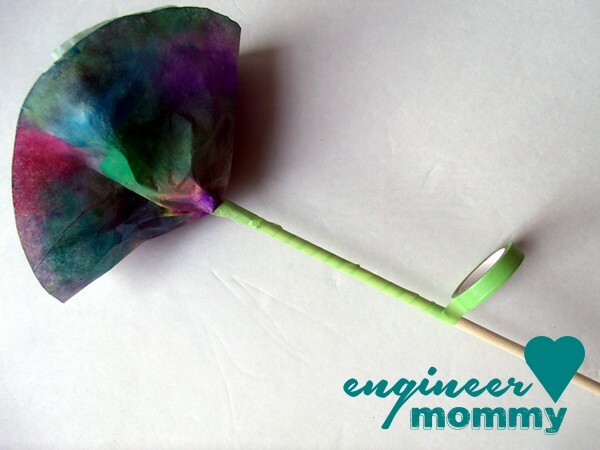 I’m loving these Coffee Filter Flowers! And my daughter is such a huge fan that she’s asked to make some more for her room! I’m a proud mama! 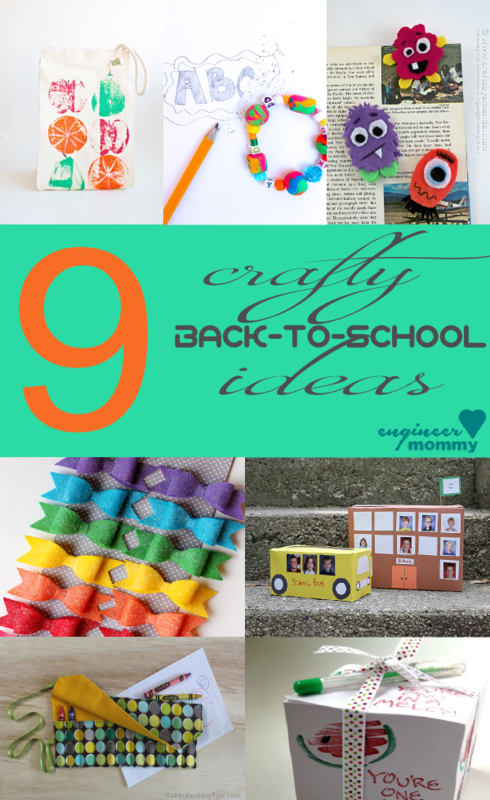 I love encouraging my girls to be creative and do crafty projects! 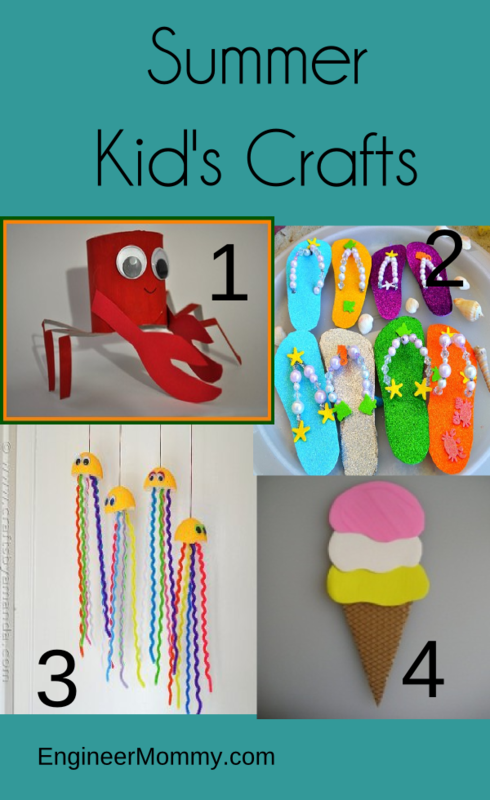 Enjoy fun kid’s crafts? 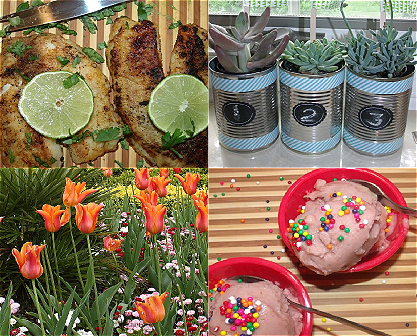 Check out these other fab ideas! Just click on the pic to see the post! Aww! These are so neat! 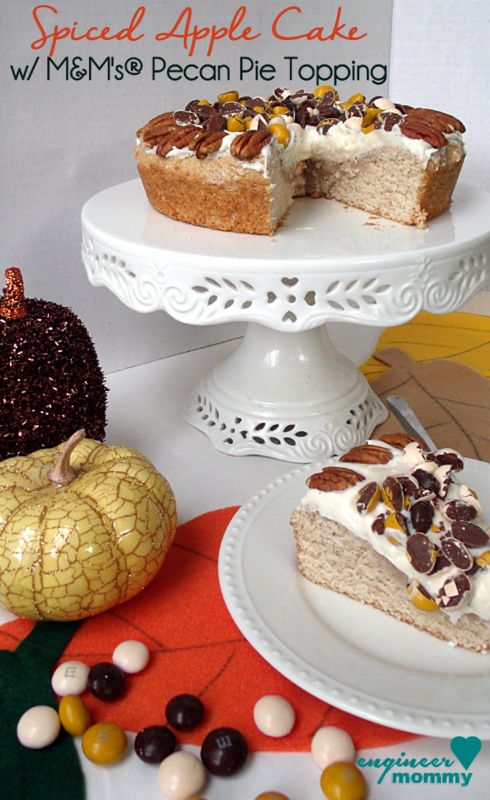 I want to try them with my nieces some time! 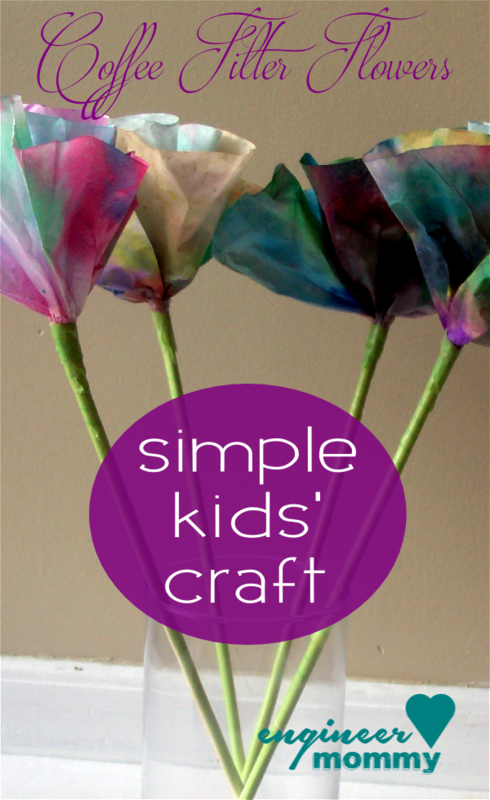 They’re a fabulous kids’ project! 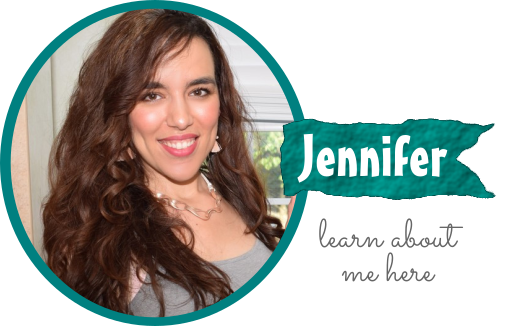 Thanks for visiting, Jess! These are a blast from the past! 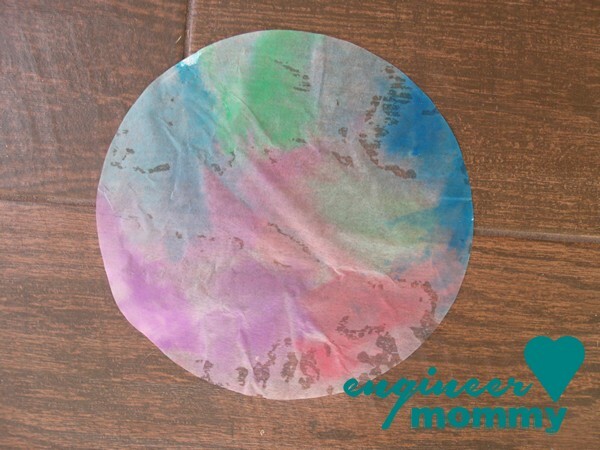 When I was a kid I colored on coffee filters with magic marker, then dipped them in water to make “tie dye” designs. But I never turned them into flowers. So cool! Those are great! And simple, too. Something I could definitely do with my son! Yes, I hope you try it Katie! I’m sure you guys will love doing it!